Despite the drastic drop in exhibitors (from 1,300 in 2017 to under 700 this year) and the incessant chatter on its ill-fated future, Baselworld 2018 forged ahead with a strong showing from exhibiting brands. Commercially priced pieces equipped with functional complications, especially the GMT, remained top priority for watchmakers. Rolex, Tudor and Patek Philippe all launched GMT watches that incited much excitement. 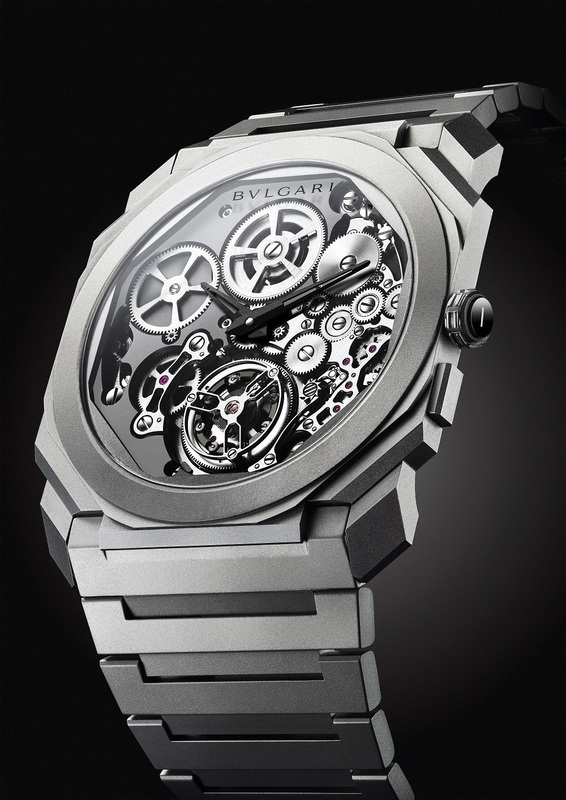 Skeletonised dials, which artfully blend a brand’s aesthetic with its watchmaking skills, were particularly popular this year. 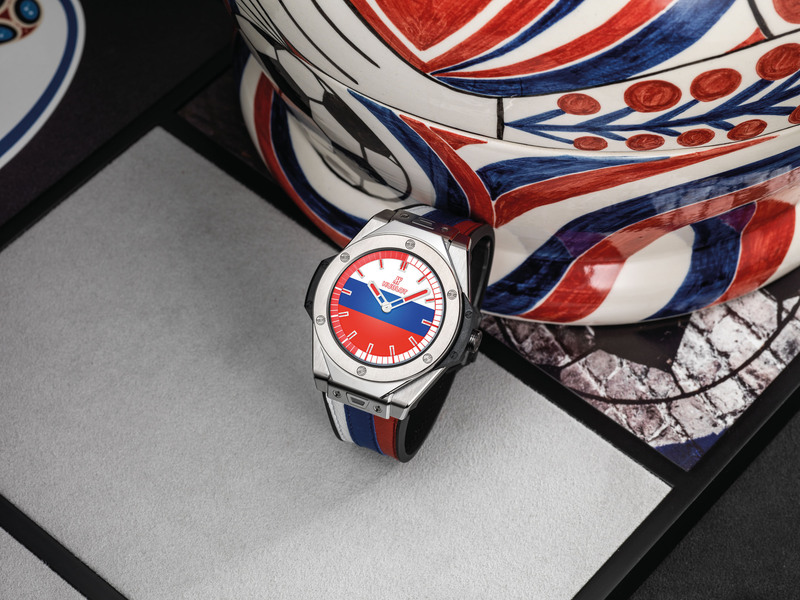 Chanel, Hublot, TAG Heuer, Bvlgari, Zenith and Corum showed off their individual take on the art of skeletonisation, while Jaquet Droz debuted its first skeleton watch. Mechanical objects of art were also another way brands showcased their creativity. From an intergalactic weather station by MB&F to a customisable automaton by Jaquet Droz that can replicate one’s signature, these fascinating mechanical devices are stellar examples of how watchmakers continue to push the limits. Heritage remains a popular inspiration for watch brands. Rolex, Tudor, Omega, Longines and TAG Heuer unveiled vintage reissues and throwback timepieces — and why not, given that some of these watches have garnered as much fame as their respective watch brands. Patek Philippe also jumped on the bandwagon and brought back the not-oft seen Golden Ellipse, its second-oldest watch model. Finally, although blue remains the go-to for coloured dials, salmon is poised to become popular this year. Patek Philippe and Laurent Ferrier sent out watches with dials in that alluring shade, as did Bvlgari, with its Octo Finissimo Automatic. The watch’s dial, case and bracelet are made of sandblasted red gold, exuding a powdery and luminous look that is extremely attractive yet subtle. And here’s why the following 10 highlights from Baselworld 2018 should be next on your wish list. 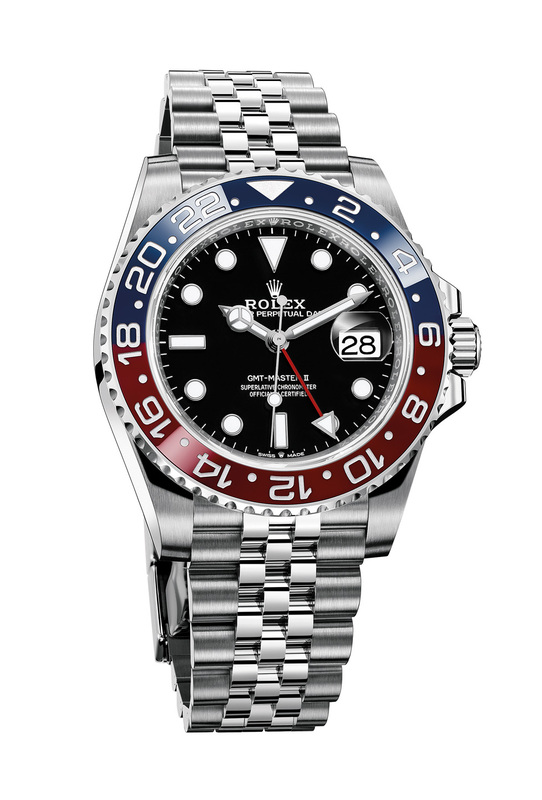 Rolex’s beloved “Pepsi” returns to its stainless steel roots with the new GMT-Master II in oyster steel with a red-and-blue Cerachrom bezel and a new Jubilee bracelet. First introduced in 1982 (ref 16760), the last iteration of the GMT-Master II in this colourway was back in 2014. Issued in white gold, the commercially successful watch sparked controversy among purists because of its precious armour. The wildly successful new steel version, undoubtedly one of the highlights at this year’s fair, is powered by the calibre 3285, a new movement with 10 pending patents and the energy-efficient and amagnetic Chronergy escapement, Parachrom hairspring and three-day power reserve. 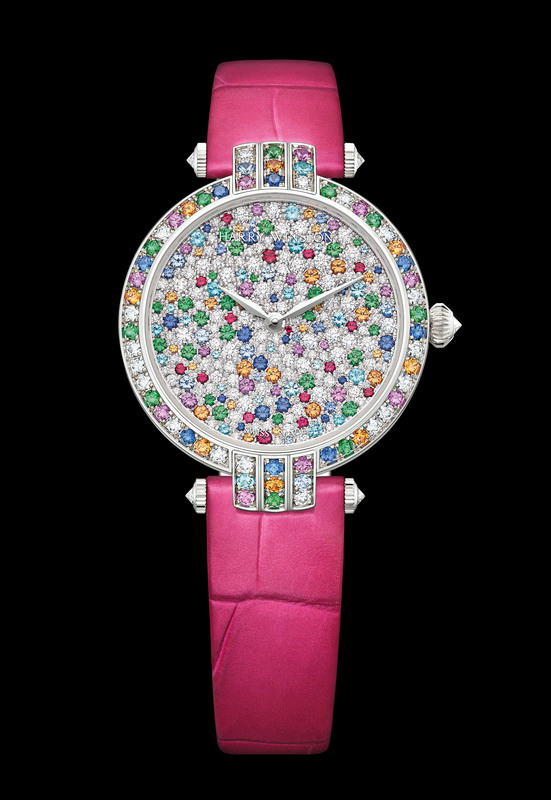 Chanel’s introduction of its third consecutive in-house calibre since 2016 is a sure sign of its watchmaking ambition. Like Calibre 2 from last year, Calibre 3 is a manual-winding skeletonised movement built in a graphic 3D style. However, unlike the Calibre 2’s decisively feminine floral structure, Calibre 3 is more understated and composed of vertically arranged circular bridges in black ADLC edged in beige gold galvanic coating. 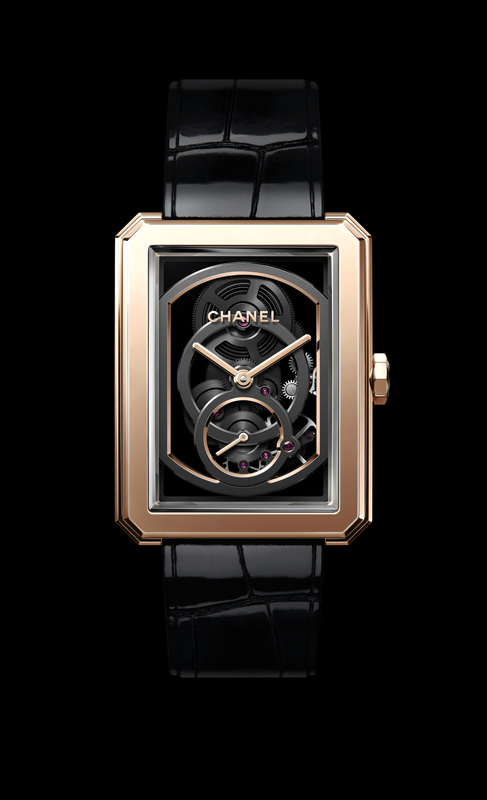 The Boy.Friend has a gender-neutral design that makes it the perfect launch pad for this watch: Introduced in 2015, Chanel’s androgynous Boy.Friend watch featured a new case shape that was a larger, bolder and more angular adaptation of the beloved Première case. as well as the tourbillon. 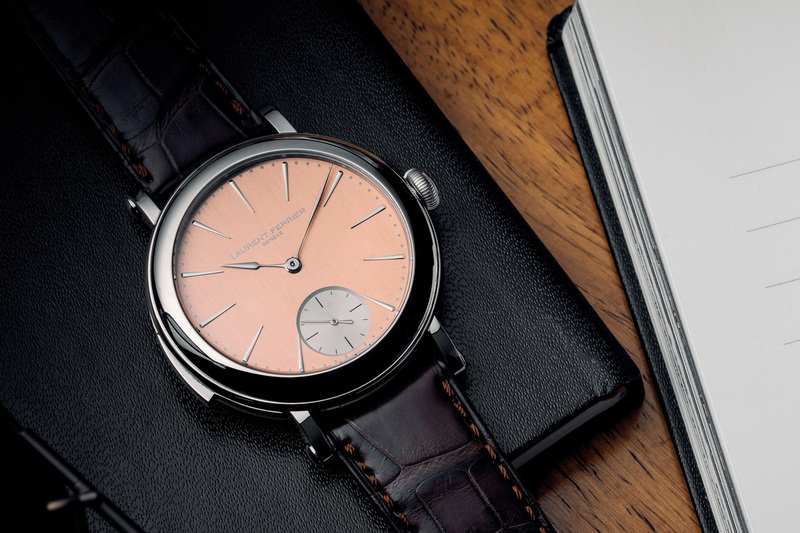 Trust master watchmaker Laurent Ferrier to make an impression with his minute repeater debut. Offered in stainless steel, a material uncommonly used for minute repeaters, it features a satin brushed red gold dial. Ferrier opted to use stainless steel because of its excellent acoustic properties; he also chose not to water-proof the 40-mm case to ensure the chimes are kept light and crystal clear. Powering the watch is a new movement based on an ébauche by La Fabrique du Temps that has been decorated and finished to the highest level. 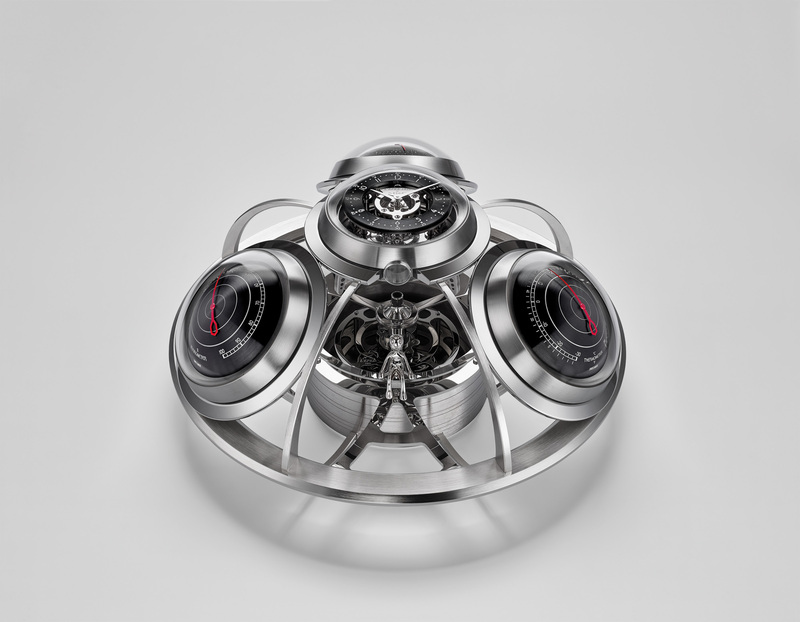 The latest horological triumph by MB&F is another collaboration with L’Epée 1839 and one that measures time, air pressure, temperature and moisture in the air. Offered in a 15-kg steel-and-brass vessel, it even comes with its own alien pilot to boot, Ross, who is perched on a rotating wheel controlled by an air-regulated movement. Timekeeping is done via L’Epée 1839’s eight-day clock movement; the clock, hygrometer, barometer and thermometer can all be removed from their mounts and interchanged or placed on any table top as an independent device. 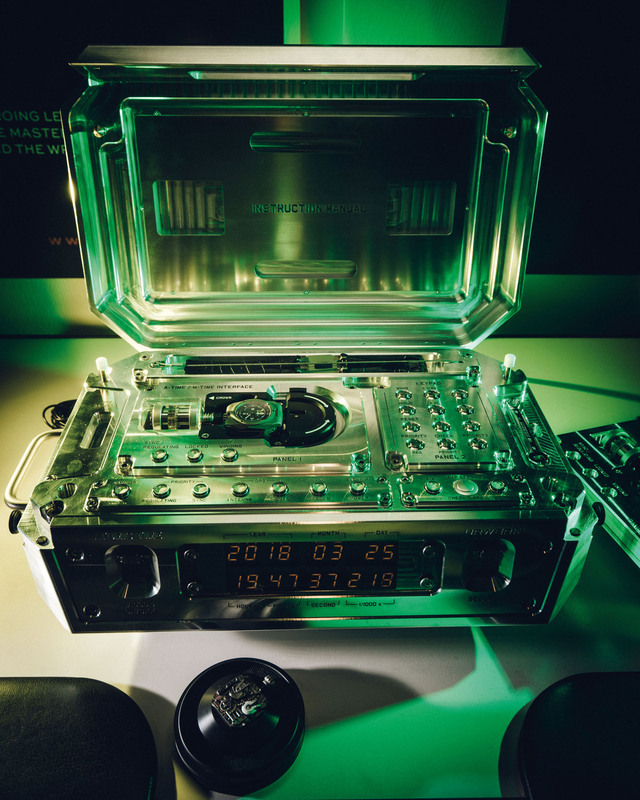 There are clocks and there’s Urwerk’s AMC, short for atomic master clock, a behemoth solid aluminium console that works together with the AMC watch, a slave watch, to keep accurate time at an optimal regulatory rate. Inspired by Abraham Breguet’s Sympathique clocks, Urwerk’s AMC takes the same master-slave clock system and gives it its own modern and ultra-cool spin. While the atomic clock isn’t mechanically regulated (obviously), interaction between it and the wristwatch is purely mechanical. A futuristic guise belies its mechanical heart, which beats at a frequency of 28,800vph and features stacked double mainspring barrels coupled in series to deliver up to four days of power reserve. In the third iteration of Chopard’s L.U.C XP Esprit de Fleurier Peony, the fragile bloom is depicted through the art of paper-cutting. Referred to in Switzerland as scherenschnitt, paper-cutting is also part of traditional Eastern culture and practised by the Chinese (jianzhi), Indian (sanjhi) and Japanese (kirie). 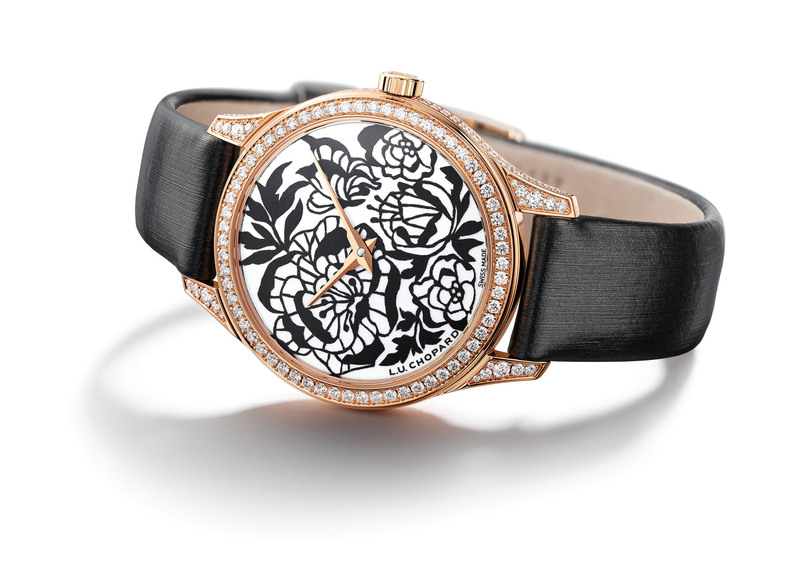 Presented on a Grand Feu enamelled white dial, the stylised peony motif is painstakingly crafted with black paper to achieve a striking contrast. The intricate dial art echoes the delicate Fleurisanne engraving at the back, where peonies have been carved in relief on the 18k rose gold movement bridges of the L.U.C 96.23-L calibre. Hublot’s first smartwatch is for soccer fans who refuse to recover from World Cup fever. It is the same one worn by referees, except theirs came with goal-line technology. Made in collaboration with FIFA (where Hublot enjoys exclusive status as official watchmaker), Google and Intel, it runs on the same Intel Atom Z34XX processor as TAG Heuer’s Connected Modular 45. The 49-mm titanium ticker features a 35.4-mm dial with a 400 x 400 AMOLED screen, Bluetooth 4.1, 512 MB of RAM and all the regular smartwatch fittings. Tech specs aside, it also offers a host of World Cup-friendly software with live match stats and goal notifications. Available in 2,018 pieces, each is equipped with Hublot’s patented “One Click” quick change strap system. Patek Philippe adds a perpetual calendar for the first time to its beloved Nautilus collection, undoubtedly its most popular silhouette. 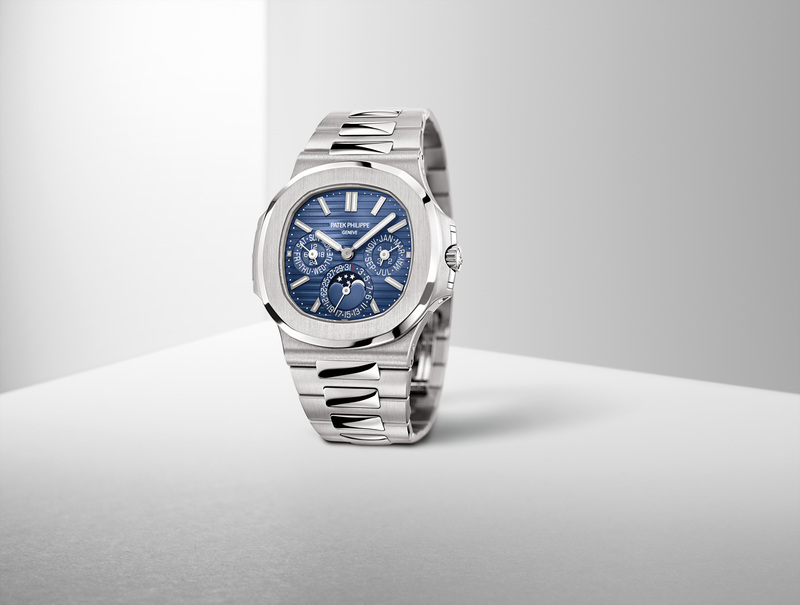 The 40-mm watch retains all the recognisable physical attributes loved by collectors. It is powered by Patek Philippe’s calibre 240 Q, the ultra-thin perpetual calendar movement that remains just as relevant and important as when it was created in the 1970s.